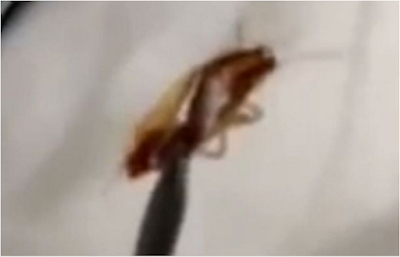 A Chinese woman identified as Su, had a cockroach pulled out from her ear after it crawled in while she was sleeping. The woman who reside at Huaihua City's Hecheng District told the doctors that she didn't know the exact moment the cockroach crawled into her ear but that it was still alive and continued to crawl and scratch. She had earlier tried to remove the insect herself but only made the insect move deeper into her ear every time she reached it with a cotton bud. When she got to the hospital, the doctors had to spray chemicals in her ear in order to subdue the insect before it could be removed. After few minutes of discomfort, the doctors were finally able to pull out the cockroach from her ear. 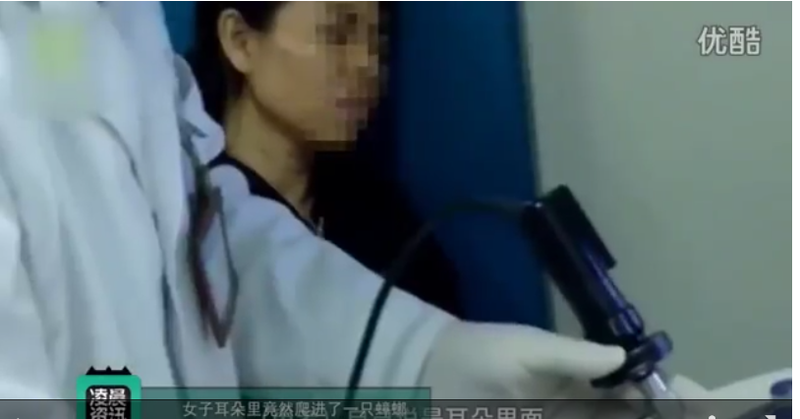 Head of the hospital’s Ear Nose and Throat (ENT) department, Meng Jie said: "The patient came in complaining of pain in her ear, claiming that an insect had crawled inside it - and that it was still moving. We spotted the cockroach deep in her ear canal - its legs were still moving - and pulled it out after giving [the patient] some local anaesthetics." He also advised homeowners to avoid placing snacks or other foods on their bedside tables, and urged individuals to seek medical attention instead of trying to remove the pests by themselves.